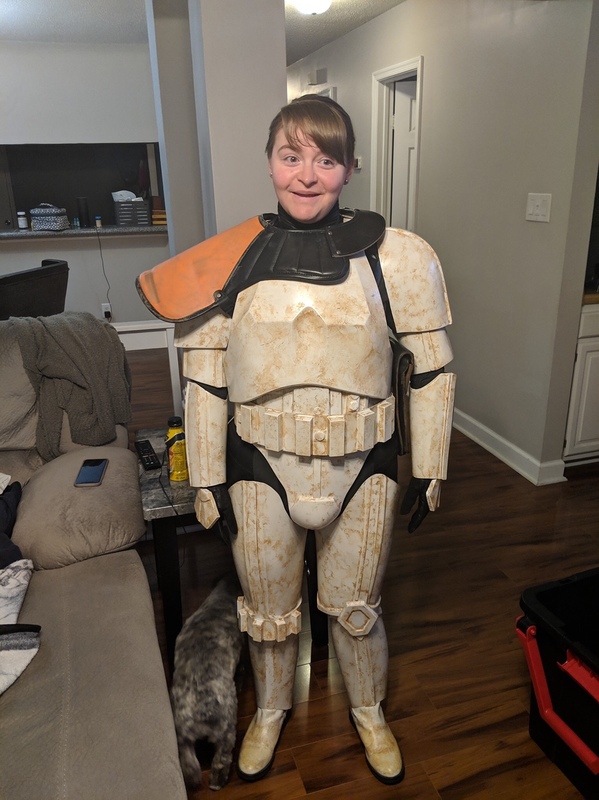 My name is Tori, my husband is currently a TK in the 501st and I have been handling a lot for events and have been wanting to be a part of it myself as well. This is my first trooper and I am extremely excited about it. I have been putting together a Jawa recently and this fell in my lap for a steal! 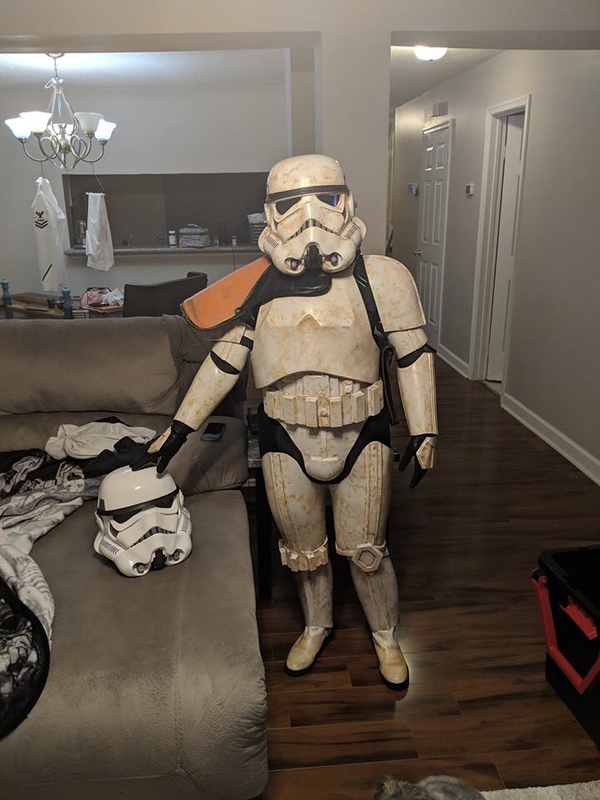 I was just hoping people more experienced could provide me with your opinion on improvements to be made before submitting for 501st approval. You have done a good job in making that kit fit but RebelHunter is right, the chest is sitting very low, I assume you are one of the smaller troopers, you can fix that problem by widening the neck opening and shortening the two pieces where you have attached the shoulder straps, don't worry about the returnedge as it won't be visible because of the pauldron anyway. That way you should be able to move the chest up. Thanks guys!! I am very happy, I love being able to share this hobby with my husband and having my own kit is exciting.